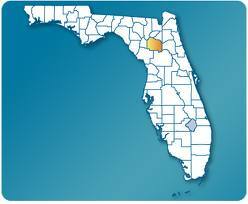 Our family has been serving Alachua County for over 25 years. When your friend or family member gets arrested, you immediately want them out of jail. You may, however, not know where to begin. Let’s face it—you probably have never been in this situation before now, and you probably will never have to be in this situation again. 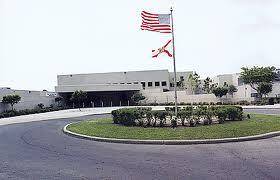 We are here to help you get your loved one out of jail as quickly as possible! If your son or daughter gets arrested while attending University of Florida or Sante Fe Community College, call us as soon as possible. We service all individuals, regardless of their age. We are able to help you get your friend or loved one out of jail wherever you are located in the country. We can complete all paperwork electronically in order to expedite the release process. Our bail bonds business has been helping defendants get released from jail since 1983. We are experts in the bail process, and we are able to assist families through this intimidating legal process. Bail Bonds work in 4 basic steps. A judge sets a bail amount at a defendant’s first hearing. This is the amount of money required to get your loved one out of jail. A family seeks our assistance to come up with the full bail amount. We charge a fee of 10% of the total bond in order for us to post the entire bond. For example, if your loved one has a $15,000 bond, we would charge a fee of $1,500. Once this is paid, we post the bond at the jail. The defendant is released from jail. 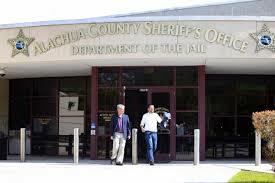 Alachua County usually has a quick processing time, and your loved one could be released within an hour. It could also take a couple hours, depending on how busy the jail is. The defendant must attend all court dates in order for the bail bond to be in good standing. If a defendant does not attend court, the defendant can be re-arrested. We also need to obtain personal information from you, including your name, address, birth date, social security, and occupation. We will then ask you to sign a promissory note. This is a form of collateral that ensures that you will be responsible for the full bail amount if, in the extremely rare occasion, the defendant “skips town”. We trust the families we serve, and at the completion of all the court dates, the bond closes and your liability ceases. Let our bail bond company lead you through this difficult process with professionalism and efficiency. Call today to get started!